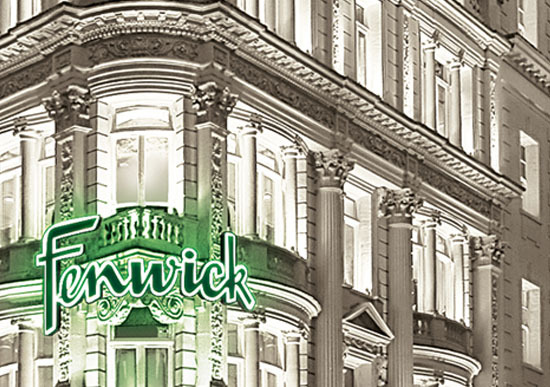 The innovative handbag hook has now reached Fenwick on New Bond Street, one of the most fashionable luxury department stores in London. Now, you can purchase your Chanel, Dior and all types of fashion accessories and get the innovative and beautiful handbag hook from My Bag Hanger to help keep your valuable handbag with you at all times. Handbags have become quite the fashion accessory. However, they are also very prone to being stolen as well. The main issue with handbags is that we often put them down on the floor or under a desk or table where they can be easily lifted by thieves who only need a momentary distraction to pull your eyes away from your handbag. However, thanks to the handbag hook from My Bag Hanger you can now secure your valuable handbag so that it never leaves your sight. Plus, you don’t have to worry about placing your handbag on a dirty floor again. The handbag hook will support all types of handbags and help keep them safe. What is a Handbag Hook? Basically, the handbag hook is a convenient hook that attaches to any table or desk so that you can keep your handbag in sight as well as by your side at all times. This means that no matter where you are you will know that your handbag is with you. All you need to do is hook your handbag on one end and then place the disc on the edge of the table or desk for easy access. You can use the handbag hook in a number of different places so that you can always be aware of where your bag is located. 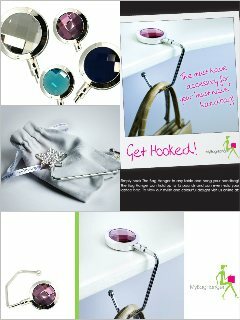 The hook itself is lightweight, easy to use and can also keep your handbag off the floor as well. This means that when you go out to eat or taking a break, you will not have to worry about your bag being stolen because it will always be in front of you thanks to My Bag Hanger. Currently, there are four different types that are available in different prices ranges that are designed to fit your budget while looking quite fashionable when in use. However, for those of you who want to own a handbag hook, all you need to do is step into the New Bond Street location of Fenwick and get one for yourself. You can also order one through the website as well. The handbag hook is a practical, fashionable way to keep your valuable handbag safe and away from dirty floors and thieves as well.